Frosty is a speaker, author, environmentalist, patriot and teacher. Scrapping the Trans-Pacific Partnership (TPP) trade agreement with Australia, Brunei, Canada, Chile, Japan, Malaysia, Mexico, New Zealand, Peru, Singapore and Vietnam. Trump said the U.S. could now negotiate one-on-one deals that would protect American workers. TPP would have opened up the U.S. to more immigration. 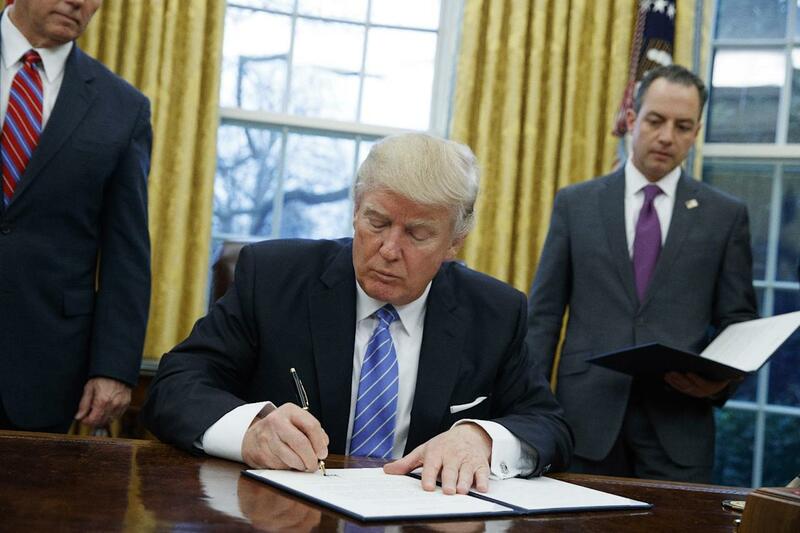 Week I: President Trump signs executive orders related to immigration. Hiring of 5,000 additional Border Patrol agents. Compiling a detailed report of all direct and indirect government assistance to Mexico for the last five years. Ending “catch and release” policies to “prosecute and deport” illegal aliens. Enhancing interior security by hiring an additional 10,000 immigration officers to enforce laws. Building “transparency and situational awareness of criminal aliens” by collecting and sharing data on immigration status of those incarcerated by the Federal Bureau of Prisons and those in state prisons and local detention facilities. An EO on Friday generated hysteria and protests at several airports over the weekend. The EO suspends issuance of visas and other immigration benefits for 90 days to nationals from countries compromised by terrorism. Countries include Iran, Iraq, Libya, Somalia, Sudan, Syria and Yemen. The protests that book-ended the President’s first week may become the standard if the “resist” movement continues to get fuel. So even as Trump powers through making good on his campaign promises, strong opposing forces are digging in their heels and making a lot of noise. Thus, it’s no time to let up on telling your legislators that you support sound programs to ensure that the U.S. immigration system has integrity. Contact your legislators and ask them to support E-Verify and to act promptly on immigration proposals.